Queer As Folk - The Complete Third Season - BUY THIS DVD! A group of gay friends (men & women) lives out their day-to-day lives in Pittsburgh, PA. A groundbreaking series set in a work-a-day blue-collar world. Queer as Folk is the first TV drama that treats gay people simply as real people. This TV series continues to be hailed by critics around the country as astonishingly frank, refreshing, wonderful, bitterly witty, and "Must-See TV." Season 3 includes over 170 minutes of specially produced bonus features. Go inside the Babylon tour and see exclusive footage with Grammy Award Winning DJ Peter Rauhofer! It also contains PARTY IN THE BOX NATIONAL SWEEPSTAKES - a chance to win your very own Queer As Folk Party at a hot New York or Los Angeles Nightclub! Dummy - BUY THIS DVD! Soldier's Girl - BUY THIS DVD! Read Eric D. Snider's REVIEW! THEN SEND IN YOUR NAME AND ADDRESS TO contests@efilmcritic.com. Put "SOLDIER'S GIRL" in the subject line and cross your fingers. There will be 2 lucky winners of the DVD. We will draw names and one of the DVDs from Fox will be yours. Only 1 entry per household. Posted: Tue Jan 27, 2004 4:59 pm Post subject: MGM DVD GIVEAWAY - GOOD BOY! & HAMILTON MATTRESS! Good Boy! - BUY THIS DVD! 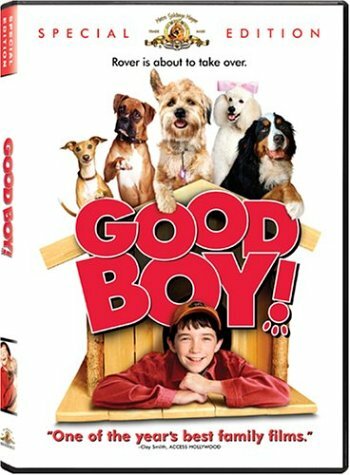 Ten year-old dog walker Owen (Liam Aiken) takes a trip to the pound and picks out an adorable, pensive mutt he decides to call "Hubble." What Liam doesn't know is that Hubble has just arrived from Sirius (The Dog Star) for the purpose of checking up on the canine colonization that began thousands of years ago. A trip to Hubble's crashed spacecraft allows Liam to hear his new pal's voice (Matthew Broderick), along with those of the five dogs he routinely walks: robust Boxer Wilson (Donald Faison), jittery Italian Greyhound Nelly (Brittany Murphy), flatulent Burmese Mountain Dog Shep (Carl Reiner), and high-maintenance Poodle Barbara Ann (Delta Burke). Hubble is greatly troubled to discover that his kind have become pets on Earth, a fact that he is rather nervous to have to report to his leader, the Greater Dane (voiced by Vanessa Redgrave)--who will be arriving on Earth very shortly to check up on the colonization. A family film that provides ample amusement for dog lovers of any age, GOOD BOY is as close as anyone will get to hearing man's best friend talk. The illusion was skillfully created by the reliable Jim Henson Creature Shop, and young Aiken's performance makes the illusion all the more believable. The vocal talents of Broderick, Murphy, Faison, Reiner, and Burke give distinct personalities to their characters, with each getting their own moment to shine. 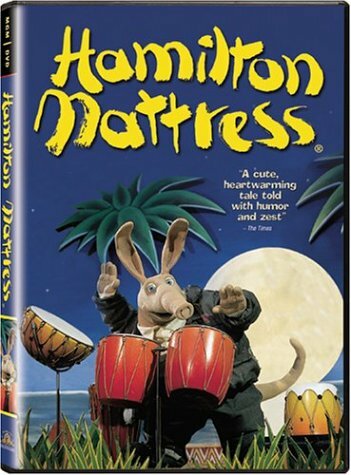 Hamilton Mattress - BUY THIS DVD! In this rocking animated comedy from the producer of WALLACE & GROMIT, Sludger, a gifted drummer--who just so happens to be an aardvark--meets with prejudice when he takes his talent to Beak City. The only non-bird in the community, Sludger must rise above the snout-hating residents to teach them a very valuable lesson about the power of tolerance and understanding in a normally judgmental world. 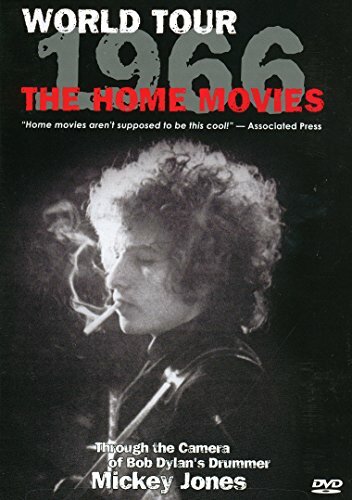 Bob Dylan - World Tour 1966 (The Home Movies) - BUY THIS DVD! HOW TO WIN? SIMPLE. SEND IN YOUR NAME AND ADDRESS TO contests@efilmcritic.com. Put "BOB DYLAN ZZZZEEEEEE" in the subject line and cross your fingers. There will be 3 lucky winners. We will draw names and one of the DVDs from Studioworks will be yours. Only 1 entry per household.